It is worth knowing that the animal body is able to produce the majority of 20 amino acids by itself, but in the case of 8 of them, it turns out to be helpless and must be obtained from the outside in the diet. The name of the Greek origin, exogenous amino acids, means precisely from the outside. Scientific research conducted throughout the 20th century allowed to establish the amino acid composition of virtually all proteins with nutritional significance, as well as to estimate their quality, i.e. the probable level of utilization (in%) for the body’s building purposes. I will say, for example, that if the quality of the protein is 50%, it means that it can be used by the body only in half; it just allows its amino acid composition. Therefore, if we want to compensate for the daily loss of “perfect” protein, amounting to 30 g, we need to eat twice as much protein with 50% quality, or 60 g.
It is assumed that the best amino acid composition in nature has the whole egg protein (without separation into “yolk and” protein). In studies on various experimental animals it was confirmed that it is practically used in 100%. At the bottom of the table, however, there is a product of animal origin, gelatin, which is the main soluble protein of collagen, originating from the boiled connective tissue. In gelatine, we have a deficit of up to 5 exogenous amino acids, which is an extremely rare phenomenon in nature. In the meantime, it is enough to lack only one of eight essential amino acids to ensure that the quality of the protein equals zero. The nutritional value of hen’s and quail’s eggs. Compared to the chicken egg, the chemical composition of the quail egg is richer. Quail eggs contain more essential exogenous amino acids and less fat. They are also a rich source of iron, copper, carotene and B group vitamins. They are characterized by the highest content of available phosphorus, unparalleled in other food products. In addition, they are characterized by excellent taste, impressive appearance and easy divisibility. Quail eggs are helpful in the treatment of asthma, diabetes, nervous disorders, bronchitis, anemia, kidney and liver diseases and in hair strengthening therapy. Regularly consumed are considered an aphrodisiac. Quail eggs can be stored in a completely fresh state for 30 days, and in the fridge for up to 3 months. 1. The chemical composition of eggs and the high biological value of the fat proteins contained in them make us see the highest quality food product in them. 2. It is eggs, and mainly their yolks, that contain so many antiatherosclerotic factors – unsaturated fatty acids, sulfur, choline, iodine, vitamins and minerals. 3. Attention! All these factors become very atherogenic, if the eggs will be consumed by a man who can not maintain the right proportions between the main components of his diet! 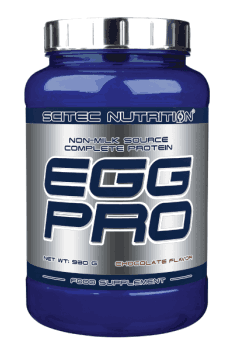 You can read also: Egg or whey – that’s the question!